Wow! What a roller-coaster ride this last month has been. From its conception to the actual first broadcast, #EVE_NT Collides has been stressful and hard work, but we have the project up and running with a bigger attendance than initially expected. 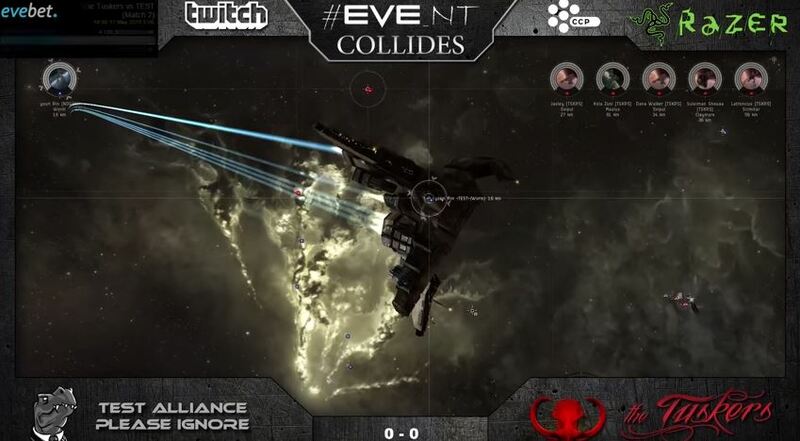 #EVE_NT Collides will be THE premier EVE E-sports program outside of the Alliance Tournament. When Bei Artjay started this venture as a little side project a few months ago, it was clear this idea could possibly be a great addition to EVE E-sports as a whole. With the right backing, it could sit in-between and around NEO and the Alliance Tournament. After the sad news at Fanfest 2015 from CCP that NEO would not be making a comeback, it meant more pressure was needed to get this idea up and running and make it bigger than initially intended. 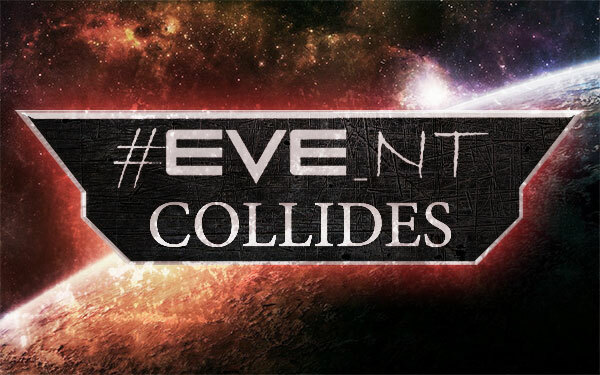 Bei and I decided to share both events we work on; Bei would come on board as equal owner in the #EVE_NT live events, and I would take on a similar role in the Collides project; #EVE_NT Collides was born. Through the contacts made for our live event—in terms of sponsors and CCP staffers—we pushed for prizes and giveaways to encourage higher viewership. Despite NEO having been cancelled, CCP is very keen to help and make EVE E-Sports a viable option and have agreed to assist wherever they possibly can. With help from CCP Guard and CCP Logibro, we are able to use Jove space and have a clean shot at uninterrupted matches, making the event more professional but also safe enough for Eve Bet to take bets on matches—knowing that matches cannot be tampered with by party crashers. Having both official CCP sponsorship and EVE_NT as backers, it was possible to secure other sponsors like Twitch and Razor, both of which will provide swag to give away through either #EVE_NT Collides or at the live event. Bei has collected some great names around him to help make this work: Bob Shaftoes, Chessur, and Apothne to name just a few that will help with organising, commentating, and analysis. The first official installment was delayed by technical work on the SiSi server. Hardknocks pulled out due to time constraints, and a different challenger was needed to face up against the current title holder: The Tuskers. TEST stepped up and made themselves available thanks to their team captain: Agenthawk. The Tuskers, led by Suleiman Shouaa, made short work of the TEST team in a clean 3-0 victory, allowing them to retain the title. Tuskers have already signed up to come and defend their title on 7 June and Waffles will be their challengers. The first episode did not go without its glitches mind you; some sound issues early in the broadcast forced us to delay by five minutes, whilst a reboot here and there seemed to have sorted that problem. Although the overlays are great, we have more graphics to be added for in between the breaks. The quality of the recording could be better as well, and we have already made some improvements in the recording setup. Overall, we are very happy with the outcome. Our target in terms of viewers was set at 250, but at peak we reached just over 500 viewers on the very first broadcast. Our commentating team, led by co-host Bob Shaftoes, did a great job, not just reporting on the matches themselves but also keeping the viewers entertained with quality PvP-chatter during the breaks. I am pretty sure CCP Logibro made some notes on the quality of the commentators and will surely base his considerations for the Alliance Tournament on what he experienced. Both team captains joined us on comms at the end and gave their sides of the story which were refreshing and interesting to hear. Ever magnanimous Sulli explained they had not really practised but their theorycrafted setups performed well, and their ship bans worked a treat. Agenthawk was clearly disappointed with their result and performance, but overall was very happy with a well organised tournament. Our team did a great job. We are proud of what we’ve achieved here and with feedback received from viewers and staff we will make the next one even slicker and better! If you have a team that wants to participate, please have your team captain contact Bei Artjay. If you wish to discuss sponsorship or team sponsorship please contact me directly via eve-mail. #EVE_NT organiser, lowsec -10 scumbag, blogger and altogether great guy. Starting EVE in 2007, Nashh has been a pirate for most of his years and currently flies with the Bastards.